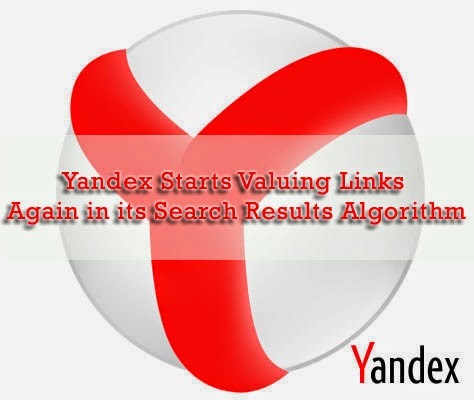 Last year we have seen a controversial change when the Russian search engine Yandex made decision to stop valuing inbound links for sites in its algo that ranks search results. Webmasters and Internet-marketers were not favor in this change and it seems that Yandex has felt the same and now it is reversing their previous decision but also introducing penalties for paid links. Reason behind earlier decision was the abundance of paid links to Russian sites. This was the big reason why Yandex made decision to stop valuing links in the first place. Yandex believed that this would end link selling but link selling only dropped by 16%. In May, Yandex rolling out an update that brings value back to naturally links and also penalizes sites that have abundance of paid links. This will surely affect a large number of sites, as this new update will cover all types of search queries worldwide. Right now Yandex haven`t said if previous decision has changed the overall quality of search results. It is good to know if removing link will help the quality of search results. If you are a regular Yandex user, do share your views via comments.